Chris Paul, Vice President of Development, brings 15 years of affordable housing and community development experience to Diamond and Associates. Prior to joining Diamond, Chris served as a Wholesale Loan Administrator in Wells Fargo Bank’s Community Lending and Investment division, working with the construction debt platform for low income housing tax credit (“LIHTC”) transactions as well as assisting with workout transactions. While at Wells Fargo, she closed deals in multiple jurisdictions, including New York City, New Jersey, the District of Columbia, Virginia, Pennsylvania, Maryland and Florida. The loan facilities she originated ranged from $4MM to $30MM in size and included construction loans for 9% LIHTC deals, letters of credit to credit enhance bond issuances in 4% LIHTC deals, private placement bond purchases in 4% LIHTC deals, a New Market Tax Credit (“NMTC”) origination and the refinancing of an NMTC facility. Her modification and workout portfolio included, among other facilities, a Capital Fund Financing Program loan to the Housing Authority of the City of Sanford, a for-sale condominium development in New York City and a line of credit to the Philadelphia Housing Authority. Prior to joining Wells Fargo, Chris was Real Estate Development Coordinator and In-House Counsel at the Women’s Community Revitalization Project. Her deals at WCRP were located in Philadelphia and ranged in size from 25-77 units, with project budgets in the $10-$15MM range. She supervised the facilities development consulting staff who provided technical assistance on projects ranging in size from $1M to $3MM, developing child care and other community facilities. Chris also served as Vice President for Legal Services at Friends Rehabilitation Program, Inc. where she worked on LIHTC and homeownership development projects, ranging in size from 10 units to 90 units with project budgets in the $2.5-$18MM range. She has served as a Clinical Instructor and Director of the Temple University Beasley School of Law Center for Community Nonprofit Organizations, and started her affordable housing and community development career as a Staff Attorney for Regional Housing Legal Services. She earned her BA at Georgetown University and her MA and JD at Temple University. She was Chair of the Real Property Section of the Philadelphia Bar Association in 2009. She currently serves on the boards of RHLS, Pensdale Village I and II, and My Place Germantown. 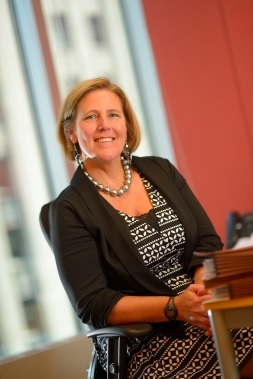 She has helped to launch a PA chapter of Women in Housing and Finance and is co-chair of the Steering Committee. Chris grew up in a Philly suburb and has spent her adult life living and working in Philadelphia.